Cattle attacks: far more common than you think. This page has proved to be one of the most popular pages on this blog. When I started it, I had no idea there were so many people out with a horror story about dangerous cattle, about serious injuries, and about terrifying near misses. Please read the rest of the information on this page, and have a look at the comments and discussions that follow. Then head over to www.killercows.co.uk and join us. I’m not fond of cattle. Not when they’re on my side of the fence. They’re big and scary. But anyone who walks in the countryside knows we have to put up with the creatures and I’ve tried to reduce my anxiety by thinking about how unlikely it is to be hurt by one of them. Cows do, however, kill 5 or 6 people every year in the UK. Most of the deaths are farm workers, which is bad enough, but sometimes walkers are killed too. And for every person killed, many more are seriously injured. In January 2016, a study was published by the BMJ journal Injury Prevention, ‘Are cattle dangerous to walkers? A scoping review’. This discovered 54 reported attacks on walkers in the UK countryside during the past 20 years, 13 of which were fatal. Dogs were involved in 2/3 of cattle attacks. Which, of course, means that 1/3 of attacks involve walkers without dogs. Sometimes a farmer is prosecuted when a walker is killed by his cattle and, occasionally, the prosecution is successful. For example, in 2016 Farmer Brian Godwin was fined £30,000 for “being in breech of his general duty of controlling livestock” and given a 12 month suspended sentence. Only his age (83) saved him from imprisonment. You might consider his punishment lenient, seeing as the same herd of cattle had attacked walkers on 4 previous occasions. Source: The Telegraph 6th Dec 2016. I’ve decided to collect stories of cow attacks in the UK, using the Google Alert facility and random internet searches. If you know of any recent reports not listed below, please let me know. Dates in red indicate fatalities. 16th Sept 2017: Sharyn Partridge, butted to the ground by a cow, Devon. August 2017: Clive Pattison, left with a broken wrist, charged by cow near Tavistock. 31st July 2017: Brian Swales, trampled and killed by his bull, N Yorks. 12th June 2017: Brian Bellhouse, killed walking in a field in East Sussex. 4th June 2017: Woman seriously injured by cow, Manchester. 1st June 2017: Saffron Anderson, trampled and injured, Isle of White. May 2017: Carol Green, knocked down and bruised by cows, Essex. 1st May 2017: Alistair Maclean, killed by a bull in his Scottish croft. 13th April 2017: Eric Coates, dairy farmer, Settle, killed by recently calved cow. August 2016: Mike Pace, trampled and left with serious leg injuries. Abersoch, Wales. 13th June 2016: A ‘hormonal’ cow attacking women in colourful clothing in Cambridge. 19th May 2016: Woman feared her husband was killed, Tutbury, Staffordshire. 3rd April 2016: Marian Clode killed by cow, Belford, Northumberland. March 2016: Cow attack witnessed in TripAdvisor review, Gribbin Head, Cornwall. 4th March 2016: Farmer, Kerr Sands, attacked by cow, Balbeggie, Scotland. Do you want to report an incident with cows? Or to find out more about cattle attacks? Please head over to killercows.co.uk and join us. I can add another incident to your list. My wife and I were charged by two herds of cows on 8th July (last month) while walking with our dog (on a short lead) on an approved way marked path over National Trust land at Pentire near Polzeath in Cornwall. We managed to escape without major injury. Our dog was charged, tossed and butted but escaped unscathed. This has been reported to the NT, but their response has been very poor. They seem to think there isn’t a problem. Oh, how awful. Glad the dog is OK and you and your wife escaped. I’m surprised the NT isn’t taking it more seriously. If someone else was injured, and the NT knew it was a problem, they would be liable. Wonder if you thought of reporting it to the local authority? Their footpath officer might be concerned. Or even the Health and Safety people? Their ways I do not understand…. (TS Eliot – unpublished I believe but stand to be corrected). Came across your blog while researching tomorrow’s walk fron Ilfracombe to Bull Point and back. Looking forward to it immensely. Cows can be dangerous but you can reduce the risk by leaving a good distance between you and the cow and always having an escape plan. And we always carry our Fox Terrier until we’re well past. Enjoy your walk tomorrow. It’s a lovely part of the country. Dear Ruth, I live in a town but was brought up in the countryside so I can see both points of view, but one thing stands out for me. Cows are in their place not peoples, the people are invading the cows space not the other way round. And if the walkers have dogs which the cows may well consider a predatory animal especially if calf’s are present, then the walkers are the irresponsible ones. I am a walker and a dog owner and I would never enter a field containing cows with calf’s. I agree with you, Valerie. I agree Valerie and so do the HSE “suggestions” to farmers – but unfortunately the HSE has left it that there is no legal requirement for farmers to keep cattle away from footpaths and keep walkers safe. HSE state numbers hurt by cattle are too low – so they need more people to be killed/injured/scared before they will take action. If they had better records (like NZ) they would already have enough statistics to show that cattle pose a significant risk to any walkers/runners who use footpaths through fields, with or without dogs. Great article and content and a subject that frequently rears its ugly head. On many of my recent walks around The Dedham Vale and deeper into Essex, there have indeed been many single bulls of 10 months and older in fields with a public footpath. The only escape route would be to throw oneself into a barbed wire fence, complete with hawthorn, blackthorn and bagged dog faeces. In all seriousness though, I’ve never had a problem with any of the bulls but a herd of cows is a completely different matter and not least because, they are, by their very nature, inquisitive creatures. If you have any horror stories about cows, or if you know anybody else who does, please consider reporting the incidents via our http://www.killercows.co.uk web site. We are trying to gather dat to prove this is a serious problem. Thank you, Ruth, yes of course. I have indeed been involved in such an incident myself but managed to turn the coins on their heels by shouting and waving a large stick. What about the poor walker who was killed by Paul Waterfall’s bull. Was it in Gloucestershire, about 18 months ago. This man and his wife were crossing a field, on a public footpath. Waterfall knew the bull was highly dangerous. He got clean away with it. Yes, I read about the case. Very tragic, in every way. I think the death occurred in 2010, but it took a long time to bring the manslaughter case to court. The outcome of the trial was difficult to understand, but from what I’ve read it seems there was some minor confusion in describing the bull. Seems strange to me. The widow won a civil case for damages this year. A criminal conviction would, I’m sure, have been far more satisfying. Yes. cows can be tricky. Funnily enough I’ve found that they are best behaved when in a field as a herd with the bull & calves. Had a close escape in Pembroke on the coast path diversion around a firing range. Approaching exit from field I noticed the group of cows & calves was grouped near the exit but penned in a small area by a single wire temp. elec fence. As you approached the exit there was a high bank & wall with barbed wire on top & the wire giving you 3m separation from the cows. Got about half way 25m down this narrow section when I heard a huge bellow of rage from one of the cows, turned to look and the cows was bucking up & down then threat charging at me. I stood my ground staying composed & it veered away at the last minute but still fixing me with an enraged eye from the fence. I kept looking back until it decided to mingle a bit with the extremely disgruntled herd, then carried on walking. When I got through the gate a couple of the farm staff came running towards me having heard the bellows. I asked them what was up with the herd, “we took one of their calves away yesterday”. Ooh. What a nasty experience and thank you for sharing it here. No doubt the cow was furious with all humankind for the loss of her calf ☹️ I’m glad you survived without injury. And I think you’re right about cows with bulls, because I’ve never had a problem in a mixed herd either. Best wishes. Hi Ruth, I’m interested in your blog, my husband and I love walking and your descriptions of your walks are great, we have been attacked by cattle whilst on a walk on Offa’s Dyke in Kington I am lucky to be alive to tell you this – it was a mixed herd. I have recovered , but we are a little wary of cows now (I’m a farmers daughter so thought I knew all the dos and donts with livestock – I didn’t!!) HSE informed, farmer accepted liability but nothing has been done other than fence off the path on the field we were attacked, the farmers cattle can maim folks on either side of this field. I understand the farmers need to make a living, but they also have a duty to keep public safe who walk on permitted paths across their land. What a horrible experience, Libby. So glad you’re alright now. Well done for informing the HSE. We walkers should do that more often when we have scary encounter with cows. Yes, I absolutely agree with you about the duty of farmers to protect the public. Perhaps we need a few more successful prosecutions. Interesting that you’re a farmer’s daughter. Do you think cows have become more aggressive in recent years? Interested in your thoughts. I’m not sure Ruth, (sorry – not seen your response til now!) 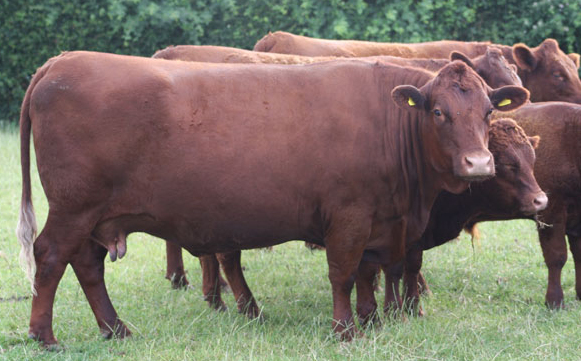 – some people say it’s the french beef breeds that can be more temperamental, we were attacked by limousin, I hadn’t met that breed close up before, and they didn’t react as I expected, apparently old british breeds are more used to people. But yes we definitely need to keep HSE in the loop and the footpaths agency if we meet obstructions on our footpaths that threaten us! Wow, thank you. Glad I didn’t know about those free range cattle when I walked the Gower. Interesting article, making clear that farmers ARE responsible for their livestock. Just reading your views on cows, could not agree more with you. Last year I walked the Pembrokeshire coast path. While walking through a very large field between Angle and Pembroke a herd of 30 to 40 Bullock’s started to walk towards me, then broke into a trot and finally a gallop. Very frightening, since when I have become very.cautious of cows, they are very unpredictable. Well done for your walks. Hi Nigel. Bullocks can get very frisky, and once one starts moving, the rest seem to follow. I’ve been walking in Scotland recently, and every field seems full of either crazy young cattle, or aggressive cows with calves. And then there are the big empty fields, where you suddenly spot a lone bull. Quite scary at times. Hi, I was walking through a field today in a Woodland Trust area, on a footpath. I am wary of cows (my mum is a farmer’s daughter and told me they could be dangerous!) and so was walking slowly with 2 friends and keeping an eye out for any cows. Without warning about 20 cows with calves came running towards us, we ran away (purely instinct) and then knew we would be outrun and trampled we attempted to hide under a tree! The herd stopped and walked towards the tree and began to surround it. When they were about 2 metres away we decided to walk calmly away. Thankfully they didn’t follow us and stayed under the tree. When we were a few metres from a gate we stopped and were talking and chatting when they suddenly came charging up the hill towards us again! luckily we ere close enough to the gate to make it out. As soon as we were out of the gate they stopped. I was absolutely terrified and will never be walking on a path shared with cows again! Hi Maddi, and thank you for sharing your experience. How frightening! I wonder if they were hoping you were bringing them food? Glad you made it out the field in one piece. Today whilst hiking the Pendle circular trail, my husband and I had an incident with cattle. We entered the field to begin a steep ascent on a public right of way. The cattle stood together in a group of six in the middle of the field. When we entered they immediately made their way swiftly toward us. Our small dog was on a short lead, we were quiet and ensured to keep well away from them, our dog did not bark or disturb them in anyway, yet they made straight for us. We tried moving further away right next to a very boggy stone wall but they just kept coming. I got scared and made my way back, they attempted to pursue me to the gate, husband and dog still trapped inside. From the gate I shouted and waved my hiking pole and they moved off. We made another attempt to cross the field quietly once they moved right over to the other side, but again once they saw us, they started making their way toward us in a group! Very intimidating, no calves with them, we remained calm and quiet gave them a very wide berth but they pursued us no matter what. In the end we gave up and looked for a longer yet safer route around. Very sad when aggressive cattle prevent the public from using public footpaths, these animals are an accident waiting to happen and not a single warning sign. Negligent to say the least. Cows in the news today 140617, The Times front page. That time of year, coincidently I backed away from a smallish deer (with sharp looking points) this afternoon I suspect a fawn was hidden in he grass, as she did not back down as I got closer, the opposite in fact. I was roaming in a neglected fallow corner so its her place & my place to reverse myself. Posted in the comments of your latests walk blog as well. Screenshot of article attached to comments on your Facebook page. Thanks Doug. Will add that tragic death to the list on this page. Very sad. Looking at the web a Roe deer with points, so a male? I have seen fawns in the company of single adults before in the far distance. Perhaps they are not so solitary as advertised, its early for the rut so why did it not run unless on guard duty? Something needs to be done! Another death in East Sussex on Monday. On Saturday 10 June 2017 in West Sussex, my partner and I entered a field on a footpath – no dog, no children, no signs. The 15 or so cattle were grazing or lying peacefully to one side – no young ones that we could see. We proceeded across the middle, about 50 yards from the herd. After only about 20 yards in, two of the cattle decided to get up and run towards us, then the whole herd started to charge. I turned and ran back and over the stile. My partner wouldn’t have made it, so stood with arms outstretched and shouted at them. This stopped them. A second shout turned them round walking to the other end. It was terrifying. Where should I report this incident, and others I’ve had? It needs to be taken seriously by the authorities – but which ones? I’ve been walking in the countryside for 30 years without any incident until the past couple of years. Hi Ruth, you have obviously done research, as did I when I was trampled by 24 continental cows with their calves with a bemused bull looking on. It was in a field with a public footpath, the herd was 200 yds away and they stampeded without any warning or provocation. My harmless old dog (on lead) was killed. I eventually managed to get myself rescued and airlifted to hospital for immediate life-saving liver operation. The practical lesson is there is absolutely nothing you can really do to protect yourself, the quidelines are just wishful thinking. As the other stories show, this happens far more than reported and publicly acknowledged, it is merely luck if you survive unscathed or are killed. I reported this to police who sent papers to HSE who are useless. The HSE made up spurious reasons to take no action against the farmer, even when I have formally pointed out to the CEO and head of agriculture with the advice of my confused specialist safety lawyers that the reasons given conflict with the Health & Safety at Work Act. The Paliamentary Ombudesman is ignoring me. To make this worse some HSE inspectors are proactive (like in Cornwall) where there was a recent successful prosecution but despite HSE claims, there is no consistancy, the HSE have no easily accessible records to clarify when it takes action and (in the overwhelming majority of cases) why it does not – when the factual issues for the victim are indistinguishable. To compound all this it is understood the farmer had no public liability insurance, but I am still issuing a claim to try to bring this issue to public attention. The farmer also failed to report the incident to HSE, despite him seeing me airlifted away, until HSE tracked him down, but such mandatory reporting is only inconvenient paperwork for the HSE. The only organisations who seem to have a grip on the issue is Ramblers but it was not quite the right time for them to launch a campaign. I recommend you read the coroner report of the Turleigh death who identified this as a matter of public concern for debate, I have the HSE and NFU complacent platitudes in reply. My husband & I were nearly killed in 2014 by cattle – we reported to HSE & sued farmer – insurers admitted fault immediately, but HSE did nothing other than get the footpath in the one field we were attacked in fenced off, none of the other fields with Offas dyke path going thro on the same farmers land have been protected from attack & they won’t prosecute the farmer unless their has been another incident reported, so someone else gets the risk of death! We are very keen on tighter regulations being imposed, rather than the loosely worded suggestions by the HSE. Happy to help with any project. Thanks for that and welcome to the lucky survivors club. No idea yet how to get this “project” off the ground” but perhaps keep in touch through Ruth. Glad your farmer at least took some public (and sensible commercial) responsibility seriously by having liability insurance and insurance paid up. The HSW Act is very clear, the onus is on the duty holder to assess hazards and put in place reasonable precautions to protect against the hazard, with reasonable basically meaning cost or inconvenience is of no account where the hazard outcome is anything over trivial, so risk of death is clearly an absolute hazard where all precautions should be taken. The offence occurs when precautions are not put place, not when there is an accident as a result of the lack of precautions. So needing “previous” history is legally wrong (and no consolation to a victim who is likely to be killed or maimed for the first time), but the HSE thinks they can get away with the nonsense. I asked for the HSE to Caution the farmer, but was told they could not do that because if the farmer did not accept a Caution the HSE would have to prosecute and the HSE had no intention of prosecuting – so the farmer gets to choose if action is taken against him!!! I did contact a couple of other lucky survivors who are also happy to help with spreading the word and I tried to get something going, but it feels a bit impossible. Maybe Ruths page can give us the kick-start we need. The Ramblers have got a report section on their footpath webpage that will get sent to the relevant authority if walkers report they are scared by livestock, or if anything else impedes their path – but it’s clunky so I suspect many incidents go unreported, so the suggestion that some agencies use to mitigate the fact they are doing nothing – “these incidents are rare” – may well be inaccurate. We had a long interview with HSE and they made all the right noises, took ages, did almost nothing. I suffered broken ribs, collapsed lungs, broken jaw, knocked out teeth, & extensive bruising, it took a couple of years to recover. We were on a National trail! There must be a way of keeping dangerous livestock away. A man doing this would be convicted, but agriculture seems to claim exemptions! I’m away on a walking trip at the moment. Thinking we need to do something with all the information we’ve collected between us. Will be doing some thinking… ideas welcome. I’ve just had a go at recording my incident with bullocks: on the way to Port Logan – https://coastalwalker.co.uk/2017/06/08/323-drummore-to-port-logan/ – using the Pathwatch app. It only gives the option cow or bull (no bullocks and no cows+calves). And then you report it as either ‘unusable’ or ‘inconvenient’. What I wanted to report was, of course, ‘dangerous’ or even ‘terrifying’! Hmm. Perhaps need to give them some feedback. I took part in a pink ribbon walk with hundreds of others and met a group of cattle with calves by a stile on mile 16 of the walk – they were obviously spooked by all the walkers and I watched as one cow reared up behind one walker going through them, luckily she got through unscathed. I reported this after the event to the organisers & they replied they had no legal powers but they had contacted the farmers along the route to ask them to isolate their cattle from the walkers, but that particular farmer said “my cattle are used to walkers” – it didn’t look like it to me! HSE guidance ADVISES that cattle can be nervous with crowds and it is best to separate cattle from them. They ADVISE keeping cattle with calves away from public access paths. ADVICE can be ignored! If anyone has any ideas how to proceed it would be great. Bill Wiggins is an MP who has petitioned parliament on this issue. Ruth I’m so grateful for your page here – it gives me hope that something can be done. Firstly your long term injuries were worse than mine and very pleased to see you are back fighting. This is good stuff. After a couple of years researching and pushing my HSE issues In isolation, it is good to see someone else going through the same. Working together will be more effective and encouraging. We do need to compare notes and work out what we are trying to achieve and next moves. I have been in touch will Bill Wiggin who responded, also Blunkett (no reply). Also got some comments from Business Department about mandatory insurance. I was going to get on to my M.P again. To add to my original summary and following exhaustion of HSE appeals, I got my M.P to submit my case to parliamentary ombudesman for investigation of HSE. After the officer agreed the “reasons” given by HSE not to act against farmer were “not reasons” they declined to investigate for the nonsense reason that I was to get compensation from the farmer. I rang to ask for a review (Sept 16) which they agreed to do but despite time given (max 10 weeks if they agreed to reopen) I heard nothing more, they never did anything and two personal chasing letters to ombudesman himself were simply ignored. What I was trying to do is get ombudesman to require HSE to justify its non-reasons, but just like HSE officialdom just ignore inconvenient issues. The HSE only exist to protect people against business and duty holders but although farmers think they are a law unto themselves, the HSE clearly share that immunity view and tie themselves in knots giving reasons to do nothing. Was listening to You and Yours today about unanswered complaints. Change.org for petitions may be a thought eventually. Think we need to see what Ramblers are at, I went on their site to fill in an incident report and heard nothing. Local Authority not interested. We need an idea of not just deaths which are recorded but those who are injured (but not recorded) and near misses. Whatever the numbers of deaths and injuries HSE have acted in prosecuting just 5 over 10 years, they refused even act in the McKaskie case and only acted in the Turleigh matter because embassassed to do so by inquest evidence. It may be worth seeing if the independent cattle expert in that inquest (engaged by HSE) could help. You’ve been busy! Re mandatory insurance – yes that’s a good idea, but once the farmer has paid up he doesn’t need to worry about troublesome walkers safety – the insurance company sorts that out, farmers will only do something positive about safety if they are held to account – ie HSE prosecutions or HSE regulations rather than advice. We know there is a massive reluctance/legal precedence etc etc against doing this. I’m a farmers daughter – so can see things from their side too – there is a huge problem with walkers dogs worrying stock & I don’t want to open the gate for these offenders (and I mean the human owners) to sue if cattle turn on the dogs and perhaps their owners. It is tricky to prove who is at fault as these events usually happen in the middle of a field with no witnesses. I don’t want to start a new type of ambulance chaser. Perhaps the path that is easiest to go down is to get a robust method of reporting livestock injuries ( I’ve been onto the Ramblers map and can find no mention of a “livestock incident” even though it is possible to report on one) and also possibly to get cattle with calves and maybe foreign breed cattle (the herd that attacked us were limousin,charolais and simmental mix – I’ve heard from farmers they can be unpredictable and the expert witness you mentioned also said this) kept separate from footpaths by a change in HSE legislation. I’ve discovered the name address and e mail of the expert witness – perhaps he could help with this cause. The authors of the post linked to below wrote the scoping review for the BMJ – they are strong advocates of better reporting of livestock accidents. This needs to be publicised and given gravitas (with expert and MP backing) as if isn’t done correctly it may attract unfavourable comments from people who may dismiss this as scaremongering, a lot of people feel that cattle are entitled to be in their fields and it’s our fault if we choose to walk through them and get injured! 1) Proving fault should not be an issue. Under HSWA the fact that there is an accident tends to show precautions have not been taken. 2) There is no needs for any new legislation (except mandatory insurance for small businesses) the HSE publish all necessary guidance and there is existing acts and cases, all it needs is for the HSE to enforce the guidance consistently by acting against farmers who do not follow recommendation, particularly when an accident gives them an opportunity. Instead the HSE ( I have this in writing from Ric Brunt the HSE head of agriculture) that there is no assumption that cattle are any risk, a stance that flies in the face evidence and the HSE guidence. 3) There is also the Animals Act where failure to control stock that ought to be known as dangerous is a strict liability civil offence, in other words fault on the part of the animal owner does not need to be proven, there is an automatic responsibility unless the victim is at fault. Ruth will be able to get your email, and I don’t know where you live, but it seems to me we ought to meet up to see what we can do to take this forwards. Been following this discussion with great interest. There are many things we could work on, either together or separately. Face to face meetings would be good. Travelling home today and will be sending emails tomorrow when I’m at my PC and not typing on a tiny screen! Feeling excited and positive about working to change the situation. I am a Senior Enforcement Officer with Cornwall Council Countryside Access Team and have for the last two years been working on a pilot project with the Ramblers, British Horse Society, NFU and CLA and now Cornish Mutual on trying to address the concerns concerning cattle incidents. The group has been successful in changing the way the HSE record information when following up a RIDDOR report concerning cattle incidents, following on from an FOI and a few discussions with their Agricultural section. We have also come up with a uniformed approach to how the authorities across the South West deal with incidents that are not addressed by the HSE. It had been an uphill struggle and on such a simple project you would be surprised at how many brick walls we have hit, we are not there yet but I would welcome a chance to meet up with you and anyone else to discuss the project. I agree that there is likely to be a huge under reporting of incidents to both the HSE and local authorities; this comes about I think mainly because people do not know who to report too. We have run two educational days down here concerning cattle and public rights of way with Miriam Parker speaking from Livestock Wise. Must admit even our oldest livestock owners said they learnt something from her. Cornwall has the third highest density of cattle per hectare, which equates to 74% of Cornwall’s land area. We are also a very popular tourist area, meaning the two have to live side by side. There is immense pressure on all sides which we recognise but we found two years ago no one was doing anything about it. Sad collection of horror stories there, Alan. Thank you for the link. Hi my husband I and are walking the Welsh coastal path . We have started in Chepstow and are walking clockwise around Wales. We have had several encounters with cows and yesterday walked from Carmarthen to Ferryside. We walked through farm land and again felt very threatened by cows . We are always respectful and walk along the edge of fields in order to keep away from them but yesterday again they charged on us . I don’t think I can walk through fields much longer it as I am getting increasingly anxious . Hi Jayne, and thank you for letting me know about your bad experience. I know you are not alone in having problems with cattle. For every person injured, I think there are many who escape, but who are made to feel very anxious. In fact, I’m in the process of setting up a separate website for people who’ve had bad experiences – it’s time to get the authorities to take the problem seriously! Hi All, particularly interested to read Linda Holloway’s comments as we had a very near miss at Morwenstow (Devon/Cornwall border) on a public footpath just in from the costal path in May 2017. We had our (Large) Estrela Mountain Dog on a lead as we walked from the SW coastal path inland to Morwenstow village on an OS marked right of way. Over the horizon appeared about 15 head of young friesians at speed and within seconds had our dog (now slipped from the lead) at bay against a sheer cliff. Thank goodness there were four of us and by shouting and judicious use of walking poles we were able to clear a way to run the 800 metres or so along the field edge to the next stile – unluckily the field tapered and we were almost headed off at the very end by these very aggressive animals who could easily outrun us, our dog and showed absolutely no fear. We made it by seconds and narrowly avoided a very ugly incident as these animals were way more than just curious. Even a year later we are super aware of any cattle on our side of the fence … and this has in all honesty greatly affected both our enjoyment of the countryside in general and of Cornwall in particular. A note to the ‘authorities’ … quite apart from issues of justice and compensation, unless the threat from livestock can properly be brought under control you risk losing considerable tourist ££s as well. I had always thought that dairy cattle were milder mannered than beef cattle … apparently every rule has its exceptions, and the ‘rules’ for dealing with these incidents are worse than useless. Hi Colin, and sorry to hear of your experience. Must have been frightening, and I’m glad both you and the dog escaped unharmed. I would very much like to write your story up on our Killer Cows site. Would you be happy about this? happy to – if you can drop me a link to it that’d be great. The more we can exert a bit of pressure to promote more responsible behaviour in this regard the better. Thank you for allowing us to publish it.